Medieval Medicine was extremely basic in an era when terrible illnesses such as the Black Death were killing nearly one third of the population. Medicine was limited. Physicians had no idea what caused the terrible illnesses and diseases. The Catholic Church believed that illnesses were a punishment from God for sinful behaviour. Letting blood was conducted by cupping or leeches. There were no Antibiotics during the Medieval times of the Middle Ages and it was almost impossible to cure illness and diseases without them. Medicines in Medieval Times were made from herbs, spices and resins. The medicine was applied in drinks, pills, washes, baths, rubs, poultices, purges and ointments. The Medicine used to treat some specific illnesses are described below. The Black Death held a massive mortality rate of between 30 and 40%. Victims had no idea what had caused the disease. And neither did the doctors in Medieval Times. The Black Death was treated by lancing the buboes and applying a warm poultice of butter, onion and garlic. Various other remedies were tried including tobacco, arsenic, lily root and even dried toad. Head Pains were treated with sweet-smelling herbs such as rose, lavender, sage, and bay. A mixture of henbane and hemlock were applied to aching joints. Coriander was used to reduce a fever. Stomach pains and sickness were treated with wormwood, mint, and balm. Lung problems were given the medical treatment of a medicine made of liquorice and comfrey. Horehound cough syrups and drinks were prescribed for chesty and head-colds and coughs. Wounds were cleaned and vinegar was widely used as a cleansing agent as it was believed that it would kill disease. Mint was also used in treating venom and wounds. Myrrh was used as an antiseptic on wounds. Yarrow, or Achillea was used to treat headaches and wounds, especially battle wounds. 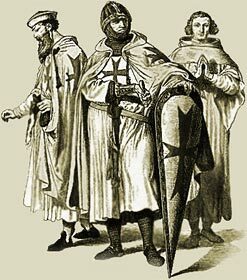 The Medieval Times website provides interesting facts, history and information about these great people and important historical events which scatter the Medieval History books including Medieval Medicine. The Medieval Times Sitemap provides full details of all of the information and facts about the fascinating subject of the lives of the people who lived during the historical period of the Middle Ages. The content of this article on Medieval life and times provides free educational details, facts and information for reference and research for schools, colleges and homework for history courses and history coursework.